Use of Music / ear phones are banned. As there will be local traffic, race vehicles and Ambulances it is imperative that runners/walkers adhere to this rule. Failure to do so will result in your disqualification. Race morning arrival; – Arrive at Start at least 90 mins before your race start time to collect your race pack and then leave your bike at the Lake Transition which is only 3 mile away then return to start. Participants will be provided with a map with final instruction. Clear directional signage on route. Marshals at all major junctions. We will constantly update the website with any race change details as they occur. Finish line details / changing facilities etc. Details of your chosen race start times. Race Pack Collection / Goody bag. 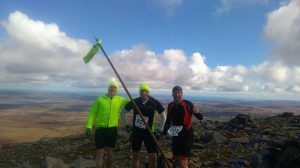 The Shore 2 Summit Adventure Race is a self supporting event so runners are advised to have personal arrangements in place for hydration and nutrition. 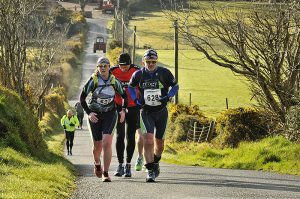 Food and Drink – Ensure that you have taken sufficient food, fruit, carbohydrates, gels, or whatever does it for you, with you to maintain your energy levels throughout the race. 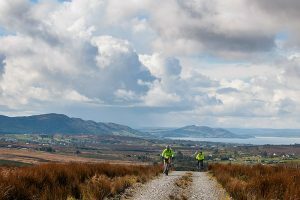 Bike Transition 2 – Mini Adventure – Bike transition 2 is located at the standing Monument at the base of Sliabh Sneacht. * You can leave backpack or bag at bike transition, please ensure it is secured/ strapped to your bike. Any packs will have to travel with you on the bike. Ensure pack is waterproof. Cut off times is 2:30pm. 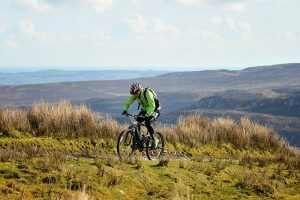 Bike choice;- Road bike (puncture proof tyres) / Hybrid / Mountain Bike. Cut off time is 2.30pm. Relay challengers – Ensure you have organised transport to different transition point. Contact us if you need assistance? The following is your check list of essential items that you will be expected to have on your possession throughout the race. These items will NOT be provided by Extreme North (unless where noted) so you will need to source them yourself. 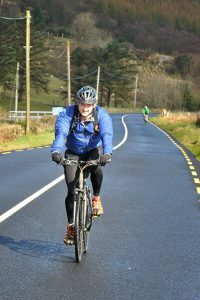 Bike & Cycle gear, including helmet, tool kit, puncture repair etc..
Rucksack, water belt or water packs as you consider necessary. *Clothing -Suitable to reflect weather conditions on the day and to cover all eventualities. Participants usually choose to leave Rucksack with food and bulky items with the Bike at transition area. Please remember if you choose to do this the Rucksack must be secured to the Bike when handed over to transition. We recommend that items marked * should be with you throughout the entire race. 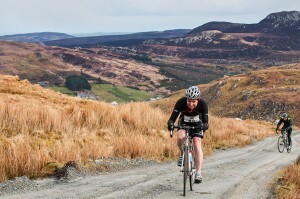 This Challenge will be staged on open roads. The rules of the road and road curtsey must be observed at all times. The presence of a Marshal does not give you right of way, be prepared to stop and go only when coast is clear or waved through by a Marshall. Only 1 bike choice is allowed throughout the race so bike left at Bike transition 1 will be your choice and any contestant found to be using a substitute bike will be disqualified. Contenders must make themselves aware of the time check stations. It will be the responsibility of each contenders to ensure that they are time checked at each station otherwise they will be eliminated from the race. Obey all instructions and Marshal guidance. Stay within the allocated course and do not trespass. Do not leave any items or food behind at transition areas. Waste bins will be provided in these locations. Respect neighbouring structures, equipment etc. Assist / report any colleague who may be in trouble to the nearest marshal. On registering for the Challenge you waiver any liability on the organisers for injury, damage or loss and agree to be bound by the rules and regulations of the organisers. Contestants will be personally liable for any deliberate damage caused to the course, neighbouring structures, equipment etc. Contestants on registering agree to the use of personal Photos / Images by the organisers for event promotion purposes as they see fit. The organisers decision to eliminate or impose a time penalty on a contestant, for whatever reason, will be final. 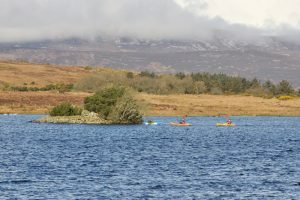 If for any reasons arising out of weather conditions / H&S concerns etc., the course organisers reserve the right to alter or vary the course as they see fit. Check prize categories for details of prizes. 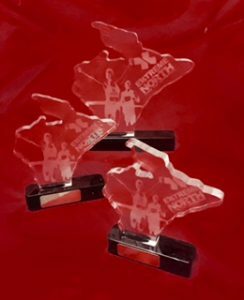 All participants will receive a medal, T shirt and Goody bag or hot meal at end of each individual event. Organiser’s decision will be final on all matters. Accommodation advise / assistance; We would be delighted to give you any help or assistance when choosing accommodation so please feel free to contact us. Extreme North events are part staged on open roads so local and visiting spectators will have many vantage points along the route to support and check on the progress of racers / colleagues. We will be happy to advise on vantage points and restricted area’s along the route. When travelling along the route please remember to go slow and give runners R.O.W. wherever possible. Where possible please use alternative routes to access vantage points to minimise disruption to runners.